Vanessa and Sa'diyya have been collaborating for several years now, and they are excited to work together again and share with you! Your workshops will be taught by Vanessa, who's coming direct from Cairo, Egypt (the homeland of Belly Dance!) where she lives and works as a professional dancer and instructor - And by Sa'diyya, an internationally recognized instructor and performer and creator of "Sa'diyya ONLINE," her own line of downloadable instructional videos that have sold all over the world in Europe, Africa, Asia and North America! And...this year we have 2 additional special instructors added to the roster, Miracle Bennett and Candace Bordelon, Ph.D.
​See details about them and their exciting classes below. 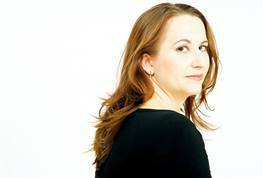 Vanessa is an international performing artist, instructor and choreographer. Vanessa is an on-staff master teacher at the Nile Group Festival in Cairo. Living and dancing full time in Egypt since 2008, she is currently contracted at several 5 Star Hotels, notably the Sofitel Cairo El Gezirah. Vanessa has been featured in video clips for Egyptian singers, as well as performing for diplomats and officials, the King of Bahrain, the former president of Lebanon, princes and family royalty from Saudi Arabia. Residing in Cairo, she instructs private/group classes in all styles including many of the Egyptian folklore dances. Previously based in Sharm El Sheikh, one of Egypt's most prized tourist destinations, Vanessa is believed to be the first American woman to start a production company in Egypt. Vanessa Show Productions provides a variety of group dance shows specializing in Egyptian Folklore, Orientale, International and Latin Dance employing dancers from Egypt and all over the world. Learn more about Vanessa HERE. Sat. 6/10, 2:30 pm - 4:30 pm - "Finding Folklore Everywhere"
Sa'diyya is an internationally recognized belly dancer based in Dallas, TX. 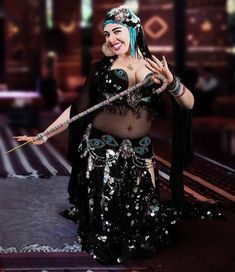 She has been involved in belly dance since 1996 and is an accomplished performer, instructor, choreographer, costume designer and event producer. She works as a full time, professional dancer who teaches group and private classes during the week and performs at special events on the weekends. Sa'diyya also travels nationally and internationally to teach and perform at belly dance events and festivals. Sat. 6/10, 9:00 am - 11:00 am - "Control Freak Technique"
Sat. 6/10, 11:30 am - 2:00 pm - "Picture Perfect - How to Prepare for a Photo Shoot"
Miracle is a wife of 22 years, mother of a 20 year old son and a REALTOR® for the past 13 years. She began taking pictures for fun as far back as the early 80's and as time moved on, developed a serious love for capturing moments in time. When her lovely friend Joi (Tamra Henna) began to perform Belly Dance in Austin in the 90's, a passion for photographing performers was born. Since then Miracle has photographed artists of every kind and never ceases to be amazed to see how people come to life on stage. When life permits, she also enjoys shooting in the studio and getting up close and personal with nature. Learn more about Miracle's photography HERE. Candace Bordelon, Ph.D. has been exploring movement since her first dance class at the age of 4 and belly dancing for almost 20 years. She discovered the strong healing power of yoga when she was diagnosed with several herniated discs in her lower back in 2001. With a background in ballet, modern, jazz, Middle Eastern and African dance, yoga, and bodywork, she brings a well-rounded perspective to her instruction and a deep understanding of both anatomical integrity and artistic expression. Her company “Movement for Healing” combines yoga therapy, Pilates, fitness, and dance to assist clients battling back injuries, Multiple Sclerosis, Fibromyalgia, Parkinson’s, cancer, and a variety of other challenges. 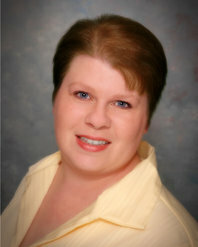 Learn more about Candace HERE. Sun. 6/11, 10:30 am - 11:45 am - "Deep Stretch Yoga for Belly Dancers"